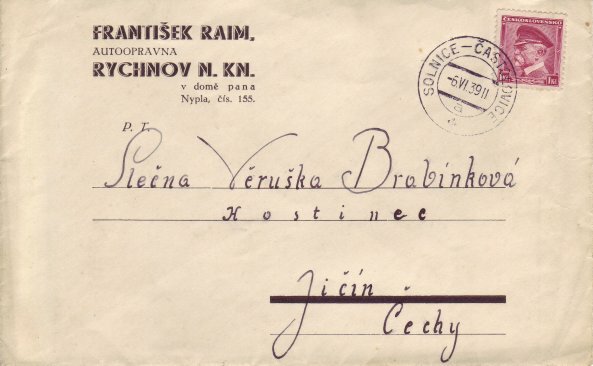 Military Railway Post hand stamps were issued by the Czechoslovakian authorities in 1938; they seem to have been used only during October and November of that year. Twenty-four different numbered hand stamps are known in the range of 1a to 20b. 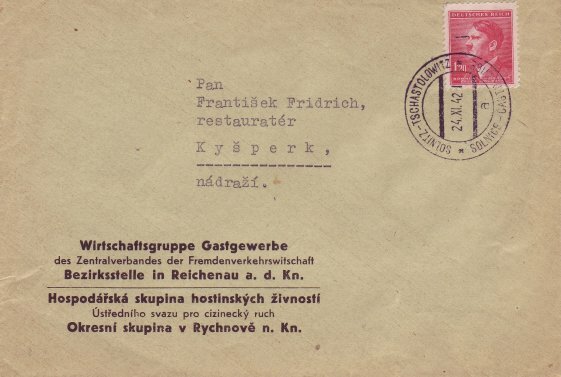 Following the annexation by Hitler in October 1938 new TPO handstamps were issued by the Third Reich. These new handstamps were bi-lingual with the route shown in German in the top half and the Czechoslovakian version in the lower half. 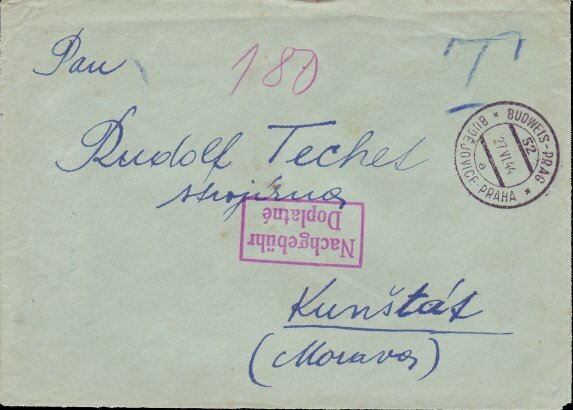 There are many examples during the Occupation of the TPO handstamp being struck upside down, thus ensuring that the Czechoslovakian names appeared above the German. This may well have been a show of defiance! 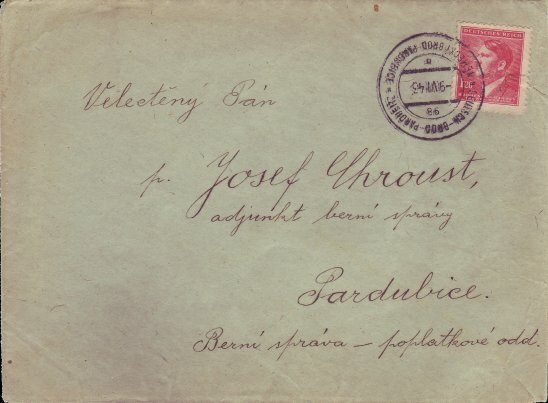 The line from Solnice to Castolovice was opened in 1893 and is about 10 kilometres - so short that the TPO was never issued with a route number (probably a Mailguard). 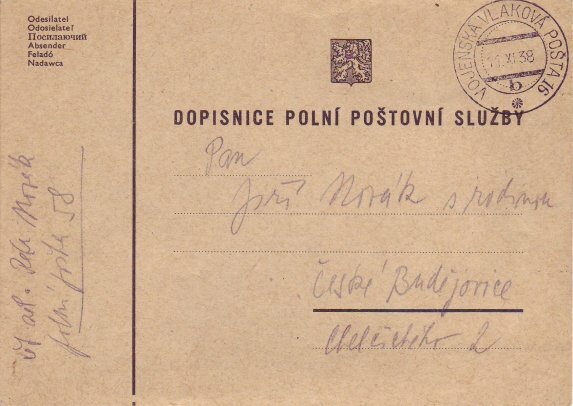 Shown below are the pre-war and Occupation cancellations. 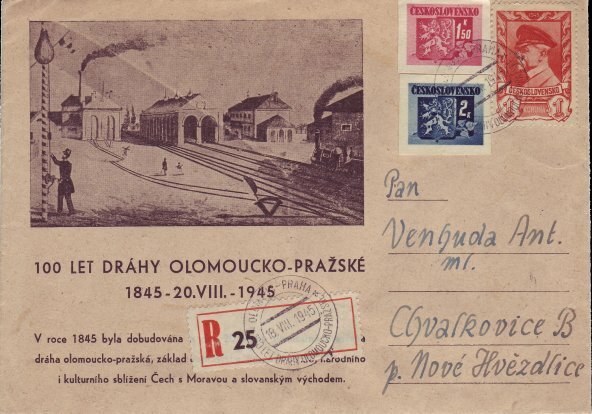 100th anniversary of the opening of the line between Olomouc and Praha.